Orders placed after Tuesday, 11:59pm CDT will ship the following week. 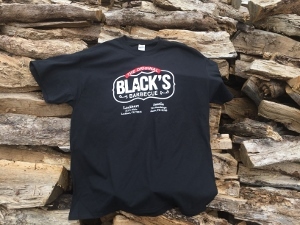 Remember the great Barbecue long after you're finished with the meal.Black's Barbecue t-shirts make a great gift item, but don't forget to order one for your self as well! 12/12/2015 – If ordered on the 15th, will the meat have to be frozen or can it be refrigerated until Christmas? 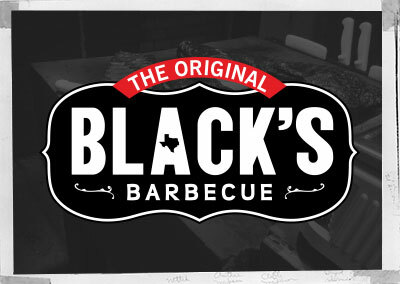 Response From The Original Black's Barbecue: Because everything is fully cooked and vacuum sealed, the refrigerator will be fine. The refrigerator will allow the BBQ to thaw slowly and safely, just in time for Christmas. Don't forget, you can place your order today and choose a future arrival date. 11/20/2015 – If sending as a gift will the recipient know who it's from? Card enclosed? 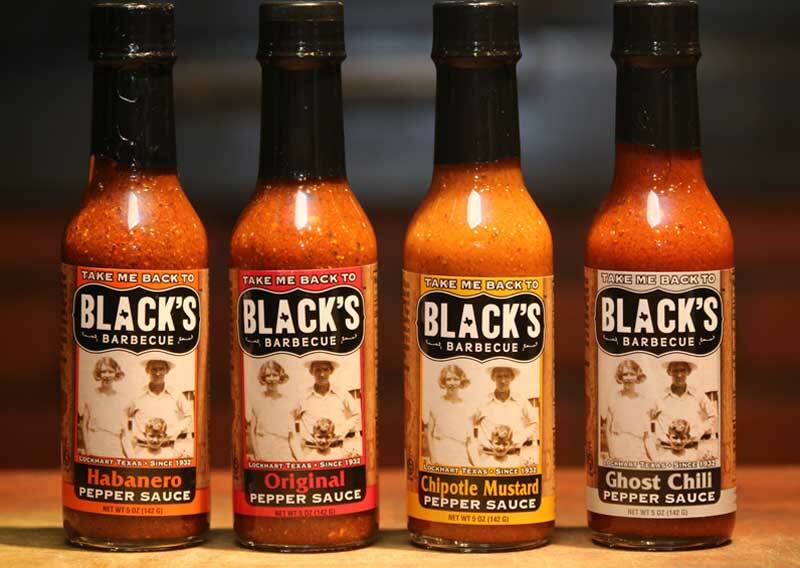 Response From The Original Black's Barbecue: During the checkout process you will have the option to include a gift note. The Billing name and address is listed on the packing slip, however, NO dollar amounts are listed inside the package. 11/18/2015 – When should I order for delivery the week of Dec 20th? Response From The Original Black's Barbecue: The Deadline for orders to Arrive before Christmas is Tuesday, December 15th, 11:59pm. You can order up to 3 weeks in advance of your desired delivery date. We are not shipping the week of Christmas, so you will need to place your order no later than Tuesday, December 15th, 11:59pm CST. Orders placed after Tuesday December 15th, 11:59pm will ship in January 2016. The Black family has been actively serving the barbecue community for over three generations, originally making a name for themselves at the Black's BBQ family-owned restaurant in Lockhart, Texas.